Malware spam: "Hope this e-mail finds You well" / "Stacey Grimly"
Please be informed that we received the documents regarding the agreement No. 7232-003 dated from 3rd day of June. However there are some forms missing. We made the list of missing documents for Your ease (the list is attached below). Please kindly check whether these forms are kept in your records. In case you have any questions here are our contact details: 838-72-99. Feel free to give a call at any time. The file sizes actually match the one listed in the file's name. Because the attachment is not properly named, some ZIP file handlers may fail to deal with them. 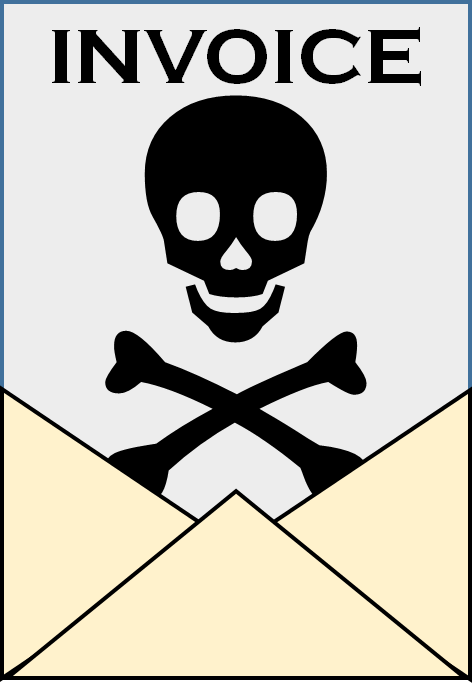 Equally, the technique may be designed to get the spam past mail filters. The malware is a common combination of the Upatre downloader and Dyre banking trojan, targeting Windows systems. Malware spam: "Tax inspection notification" / "tax_663-20845-0479-435.zip size=18288.zipsize=18288"
This fake tax notification comes with a malicious payload. According to our records, the inspectors license No. is 090-96919-5886-935. Please check as it is an important procedure rule. We may discuss all the related matters by phone: +1 998-497-85. Feel free to contact us. 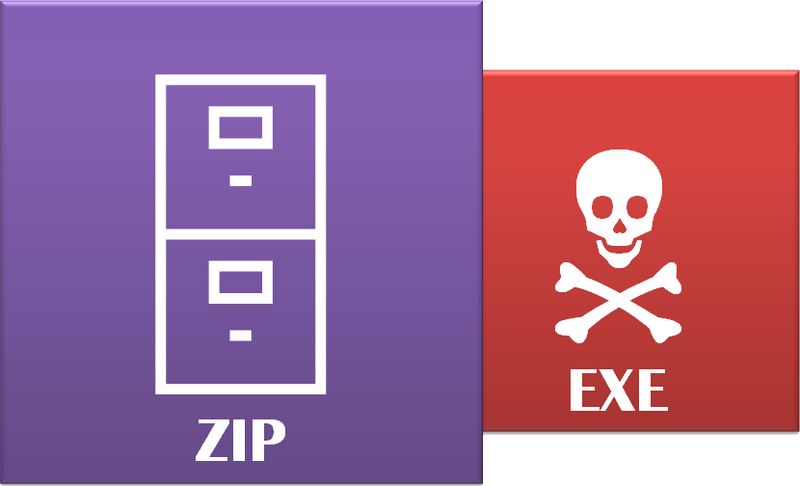 Attached is a file with a malformed ZIP filename of tax_663-20845-0479-435.zip size=18288.zipsize=18288 which contains a malicious executable info_bank_pdf.exe which has a VirusTotal detection rate of 4/57. That IP address is the same as seen in this attack earlier today and it belongs to Orion Telekom in Serbia. This VirusTotal report also shows traffic to 178.214.221.89 (Optical Systems LLC, Ukraine), and this Hybrid Analysis report also shows traffic to 37.57.144.177 (Triolan, Ukraine). Furthermore, this other Malwr report shows two dropped executables, karetfob.exe [VT 4/57] and sveezback.exe [VT 15/57]. The dropped payload will be the Dyre banking trojan. Malware spam: "Shareholder alert" / "instructions.zip size=21154.zipsize=21154"
Attached is a mis-named ZIP file called instructions.zip size=21154.zipsize=21154 containing a malicious executable instructions_document.exe which has a VirusTotal detection rate of 1/56. 93.93.194.202 is Orion Telekom in Serbia. It also drops an executable xiroukiqa.exe with a detection rate of 5/56 and vusjeson.exe with a detection rate of 4/57. The VirusTotal report for the last binary also shows traffic to 64.111.36.35 ( Midwest Data Center, US), which is clearly malicious according to VirusTotal. 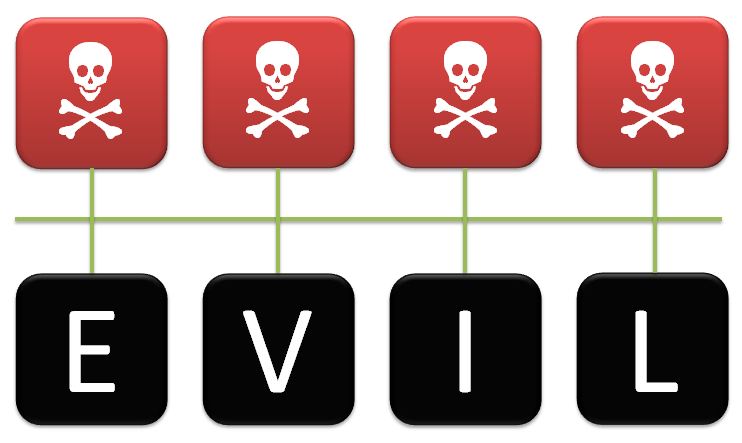 The characteristics of this malware indicate the Upatre download leading to the Dyre banking trojan. Malware spam: "New instructions" / "instructions_document.exe"
Attached is an archive file with the somewhat unusual name of instructions.zip size=19811 which contains a malicious executable named instructions_document.exe. which is an IP operated by Orion Telekom in Serbia, and also 66.196.63.33:443 which is Hamilton Telecommunications in the US. A characteristic of this generation of Upatre is that it sends traffic to icanhazip.com which while not malicious in itself is quite a good indicator of infection. In all cases I have seen, Upatre drops the Dyre banking trojan, but I have been unable to obtain a sample. Yesterday I blogged about a company called 3NT Solutions LLP apparently based in the UK and expressed my reservations about them as a business. They operate quite a large range of IP addresses, but a quick Google search shows pitifully little about this company. LLPs are a relatively new type of company in the UK which allows a firm to be registered with the minimum of details, but there are reports that LLP structures are being widely abused. We'll have a look at the ownership in a moment, but first let's check out this grand-sounding office in Central London.. It is, in fact, the Bloomsbury branch of Mail Boxes Etc and "suite" is simply a euphemism for "mail box".. in other words, this is a mail drop address that most likely forwards any mail to another address, a trick that conceals the full owners of the company. We can trundle over to that on Google StreetView too..
Dalton House is basically the same thing as the MBE address, it offers a brass plaque somewhere and a mail forwarding service. So no real clues as to ownership here either. A trip back to Companies House to find their Company Register information [rtf] reveals very little, except two related companies in Belize. Belize is a pretty much a haven for offshore companies, so it is quite likely that these two Belize companies are owned by someone in a different country again. The domain registration for 3nt.com doesn't really give any more information, and oddly enough their website is down (so how do they expect to attract business?). But if we do a WHOIS lookup on one of their IP ranges then it becomes much more clear. Alright, let's cut a long story short because we know who this is.. it's Serbian web host inferno.name who have featured on this blog several times before all the way back to 2011. Similar records exist on all of 3NT's ranges, linking them firmly with inferno.name. Not it's not a particular surprise to see that inferno.name is trading under a different name, as the scummy sites they host pretty much ruined their reputation. And yeah, this blog helped with that. I had a look into some of 3NT's IP ranges and you can tell instantly from these samples [csv] that they are pretty low-grade spammy sites. What you can't tell from that list are the command and control servers that they run, and of course they also host malware. The following IP range are allocated to 3NT Solutions LLP. I recommend that you block them. Seated in an exit row? Read about checking in. Pay for your checked bags when you check in online or at the airport! Read more about bags. *Carry-ons can be up to 40 lbs and up to 45 inches and a personal item is a handbag, briefcase or laptop bag. **1st & 2nd checked bags can be up to 50 lbs and 62 inches except Brazil where you're allowed up to 70 lbs. Europe fees apply for travel to/from Asia through Europe. Baggage fees are non-refundable. Overweight/oversize fees and fees for 3 or more bags apply. Read all baggage policies. If you're traveling with an infant, the child is allowed 1 fully collapsible stroller or 1 child restraint device or car seat (no charge). If you're traveling internationally with an infant in lap, your child is also allowed 1 checked bag (checked bag fees apply - max 62 in/157 cm and 50 lbs/23 kg). If one or more of your flights is on a partner airline, please check with the other airline for information on optional fees. You must contact US Airways on or before your scheduled departure to cancel any or all of your flights. If you don't, your entire itinerary will be cancelled and there may be no remaining value to use toward another ticket. Any change to this reservation, including flights, dates, or cities, is subject to a fee per passenger (according to the rules of the original fare). The new itinerary will be priced at the lowest available published fare at the time of change, which may result in a fare increase. Ticket expires one year from original date of issue. Unflown value expires one year from original date of issue. Read more about all US Airways taxes and fees. You have 24 hours to cancel your reservation for a full refund. Please view this link. Checked baggage fees may apply. Air transportation on US Airways is subject to the US Airways Contract of Carriage. View this document in PDF format. Security regulations may require us to disclose to government agencies the data you provide to us in connection with this reservation. Changes to the country of origin are not permitted, except for changes between the United States and U.S. territories. Send US your compliments and/or complaints.